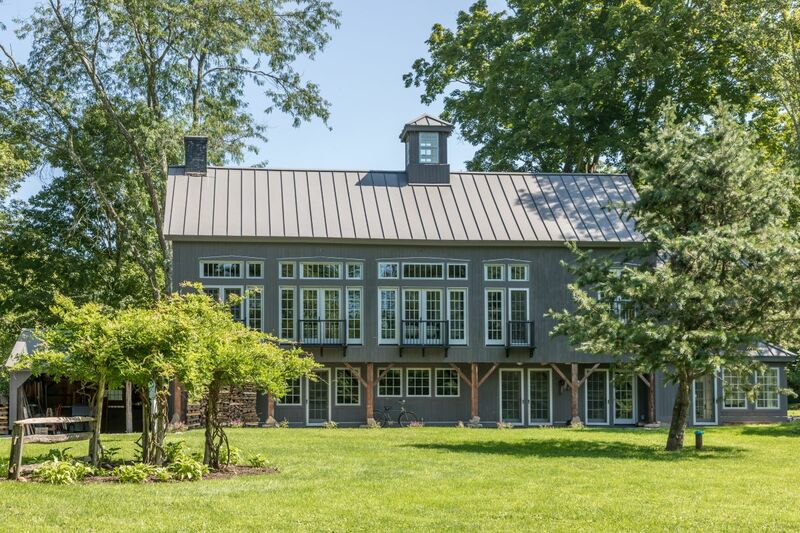 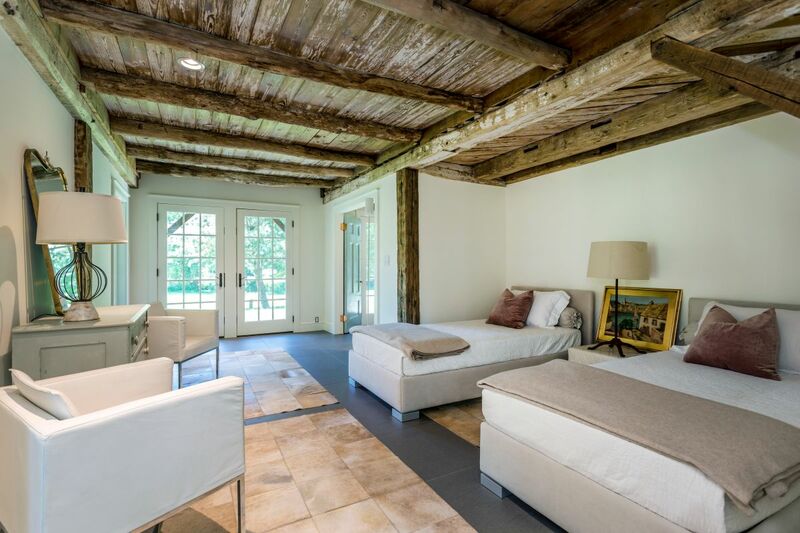 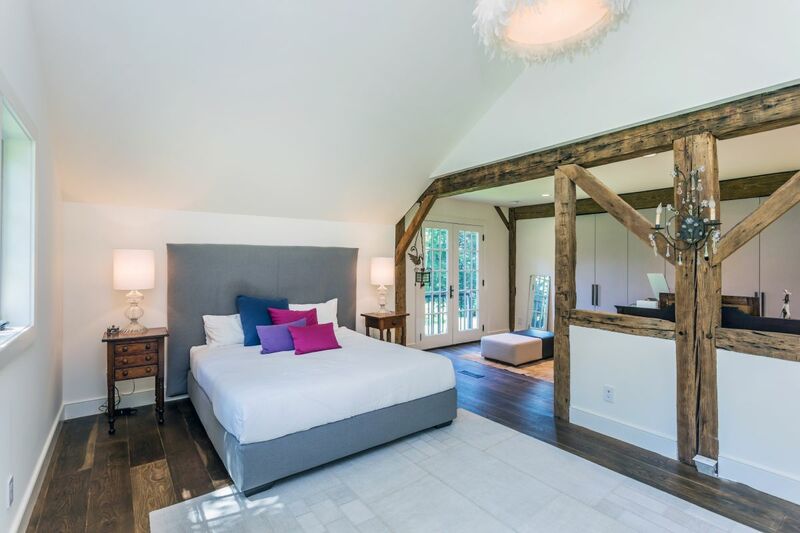 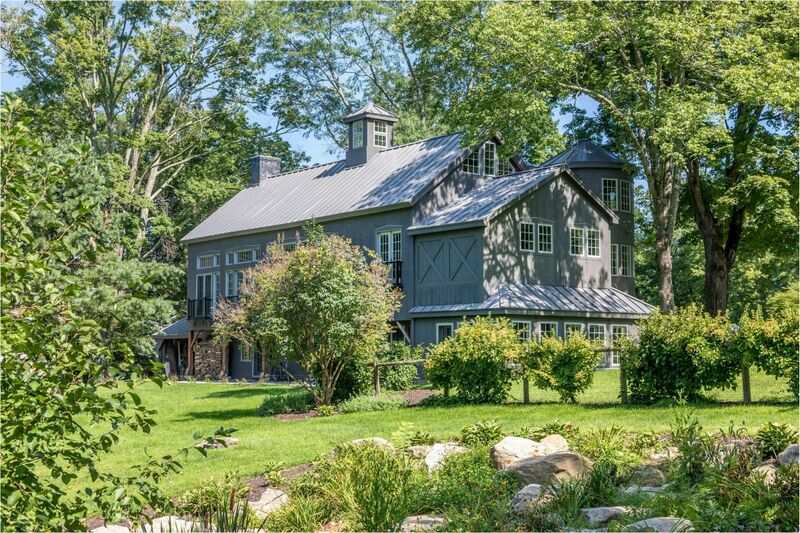 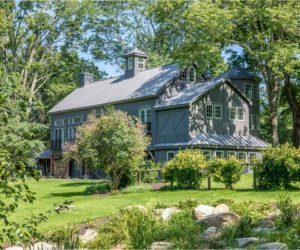 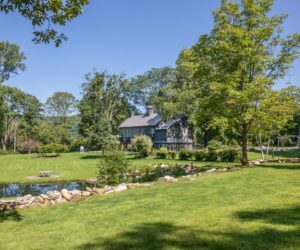 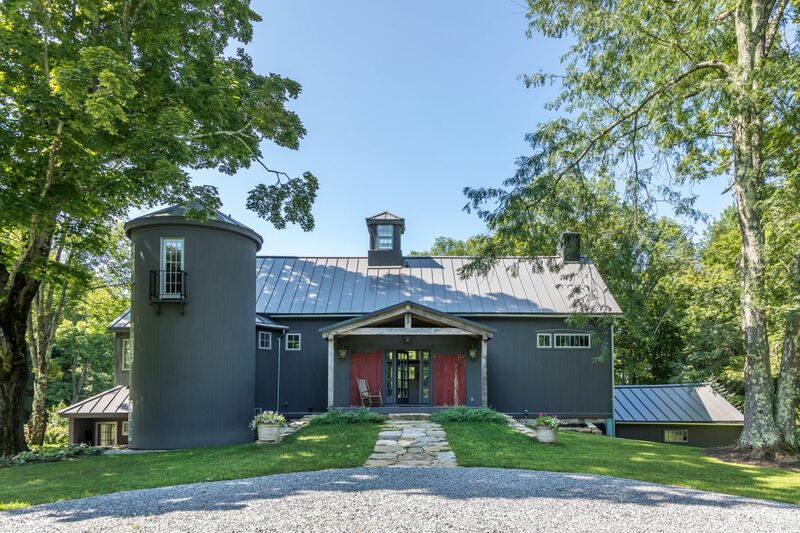 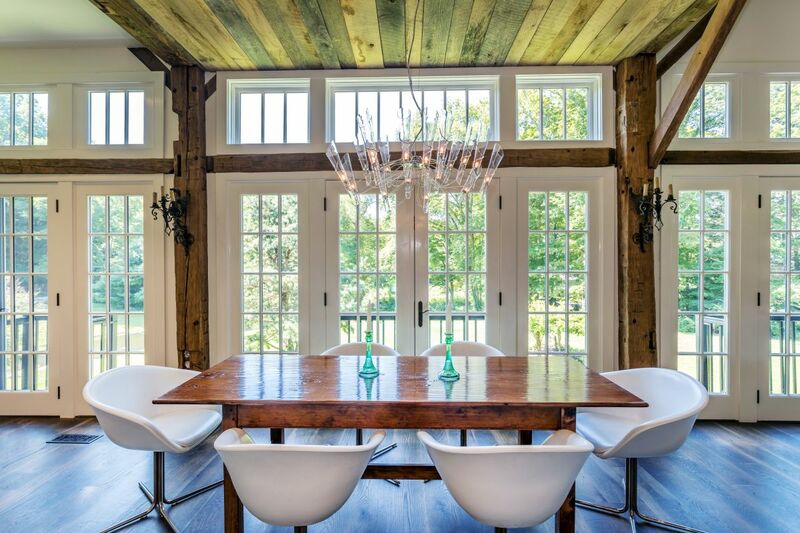 Believe it or not, this barn home was originally built in 1797. 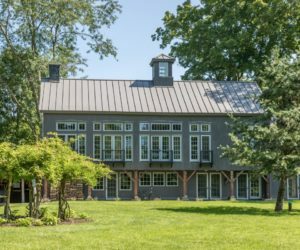 At one point it was damaged by a fire and then in 2014 it was purchased by its current owners who decided that a complete restoration was needed. 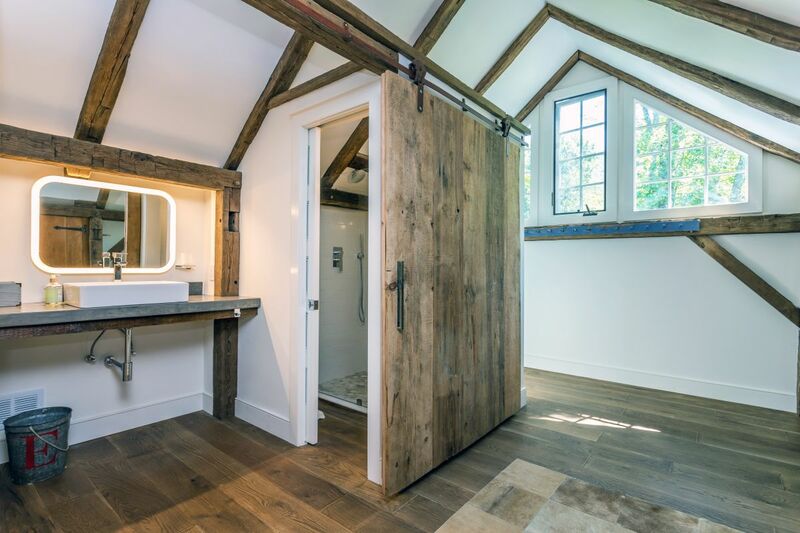 All the details of the project had to be carefully thought through. 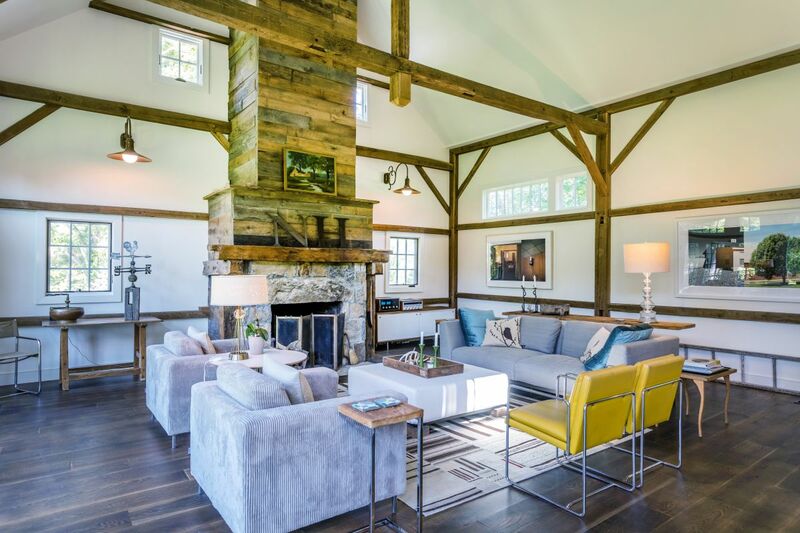 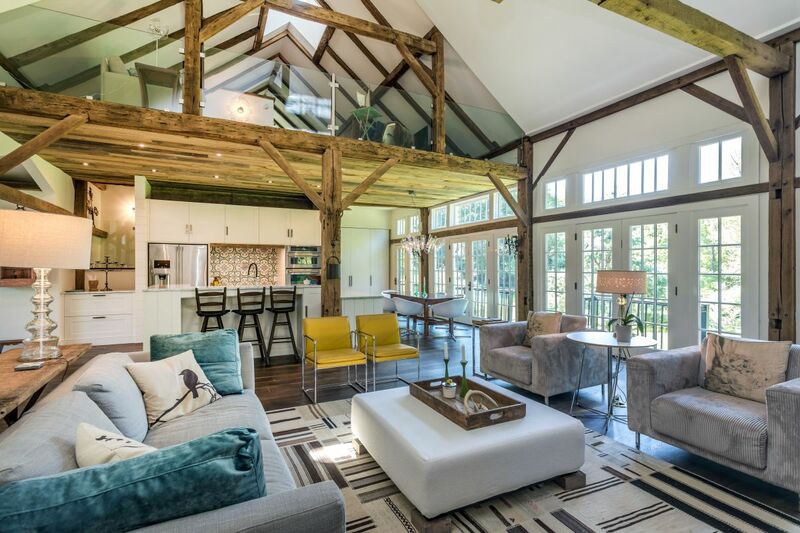 The owners who are also designers wanted the barn to retain some of its original features so they preserved the silo, the high ceilings and the exposed posts and beams. 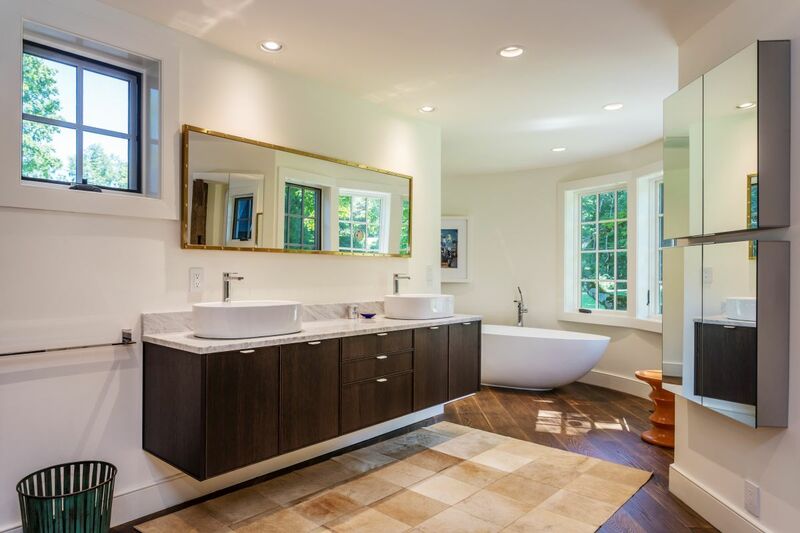 They also wanted their new home to get a fresh and modern update and that means some changes had to be made. 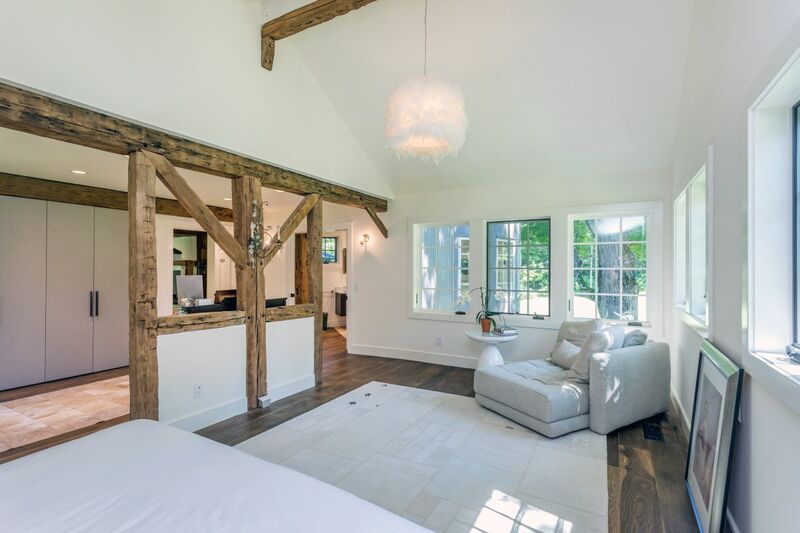 The barn got new windows, French doors, beautiful oak flooring and also some smart features. 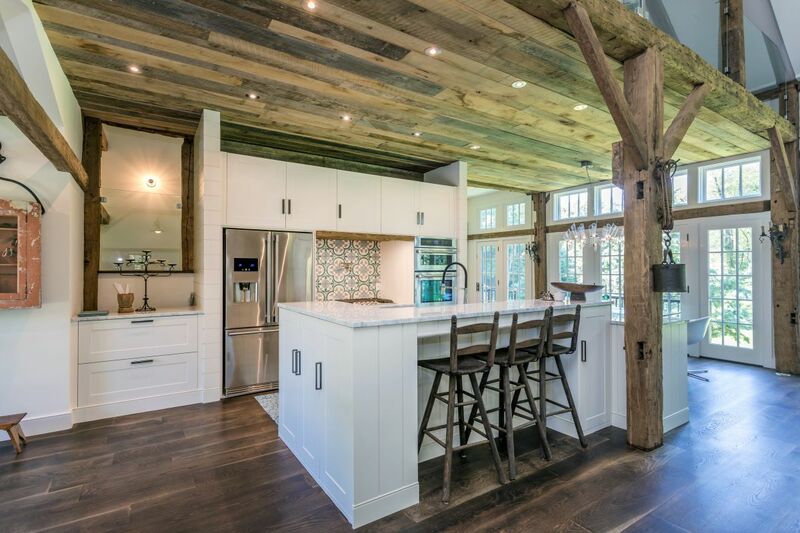 These changes and additions gave it the modern boost it required in order to become a comfortable home for its new owners. 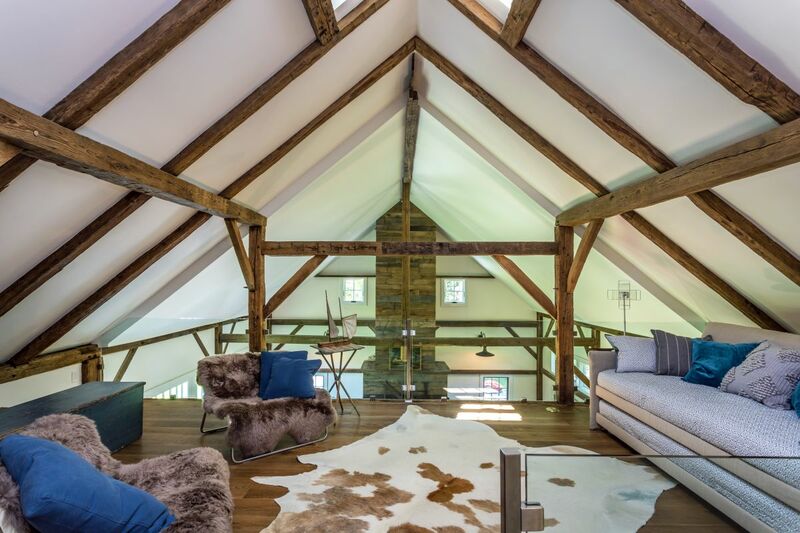 The new distribution of the spaces places the living room, dining area and kitchen on the main floor and the bedrooms, bathrooms and a large sitting area in the restored silo. 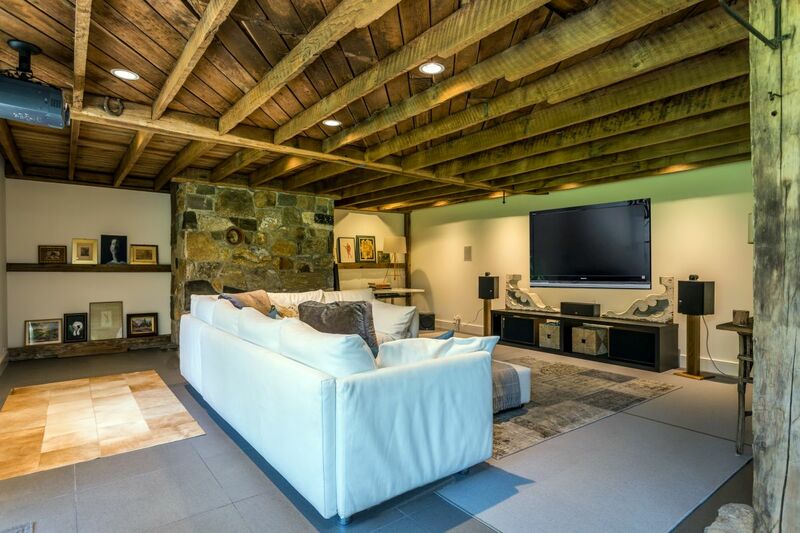 There’s also a media room with direct access to a porch. 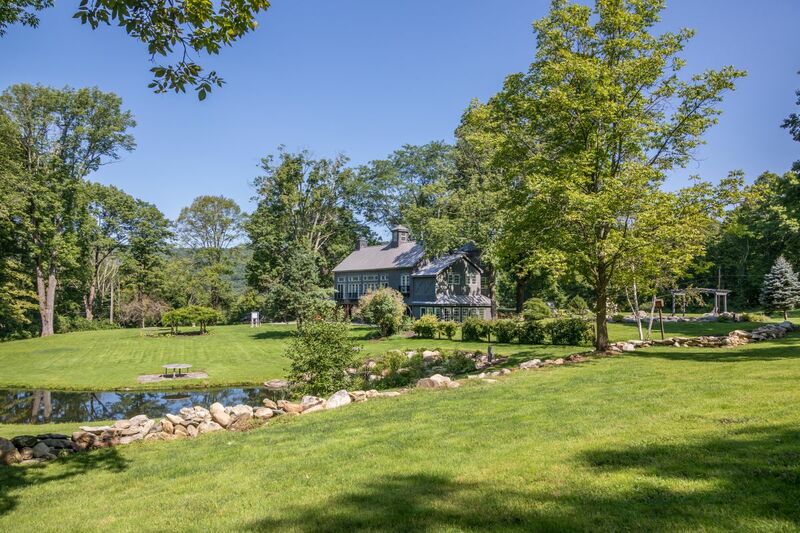 There’s also a beautiful pergola, a pool, a pond and an orchard. 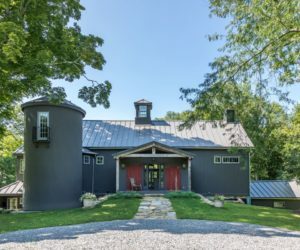 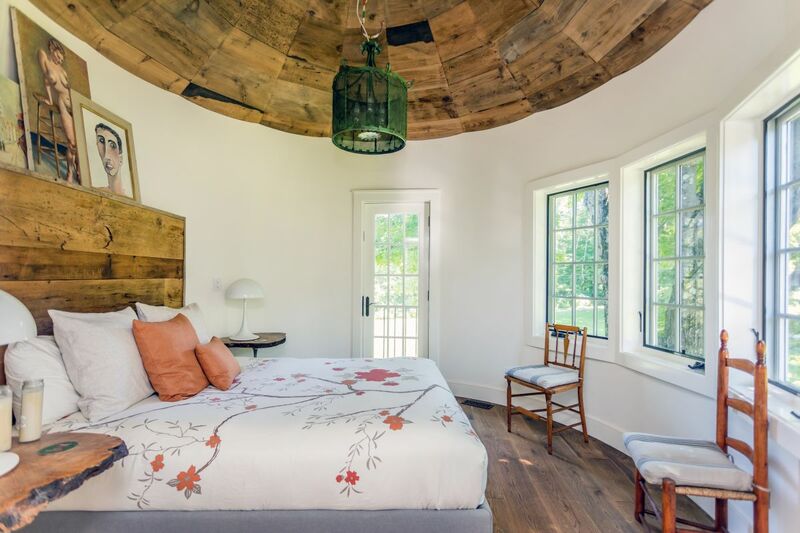 The post An 18th Century Barn Gets An Update And Becomes A Modern Home appeared first on Home Decorating Trends – Homedit.